DescriptionUnlike his fiction, which has been popular and often reprinted, Melville’s poetry remains obscure. The last “collected poems” appeared in 1947 and “selected poems” in the 1970s, and only two books dealing exclusively with Melville’s poetry have appeared, both published in the 1970s. In this revised edition of his Poems of Herman Melville, Douglas Robillard updates the scholarship on the poetry through his introduction and notes and makes a case for revised estimate of the importance of Melville as a poet. 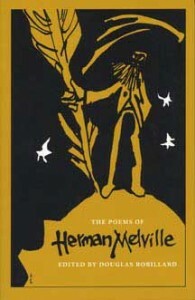 The Poems of Herman Melville contains entire texts of “Battle-Pieces” (1866), “John Marr and Other Sailors” (1888), and “Timoleon” (1891). Selected cantos from “Clarel” are reprinted with accompanying notes and commentary. EditorDouglas Robillard (1928–2012) served for 26 years at the University of New Haven, variously as English department chair, dean, and library director. He is the author of Melville and the Visual Arts: Ionian Form, Venetian Tint (Kent State University Press, 1997) and editor of The Poems of Herman Melville (Kent State University Press, 2000) and a facsimile edition of Melville’s John Marr and Other Sailors, with Some Sea-Pieces (Kent State University Press, 2006).